Lakeside and quiet, this property is minutes from all of Branson's shows and attractions. Boat slips and boat rentals available. Enjoy fishing and swimming off the new dock with 11 x 30' slips to rent for your boat! Next to the Table Rock State Park Marina and the ShowBoat. A great family vacation spot that you will want to come back time and time again! Vickery Resort has been in business for many years, known for their cleanliness and hospitality. Come stay and you will see! All guests will enjoy the convenient location of Vickery Resort to all of the Branson shows and attractions. 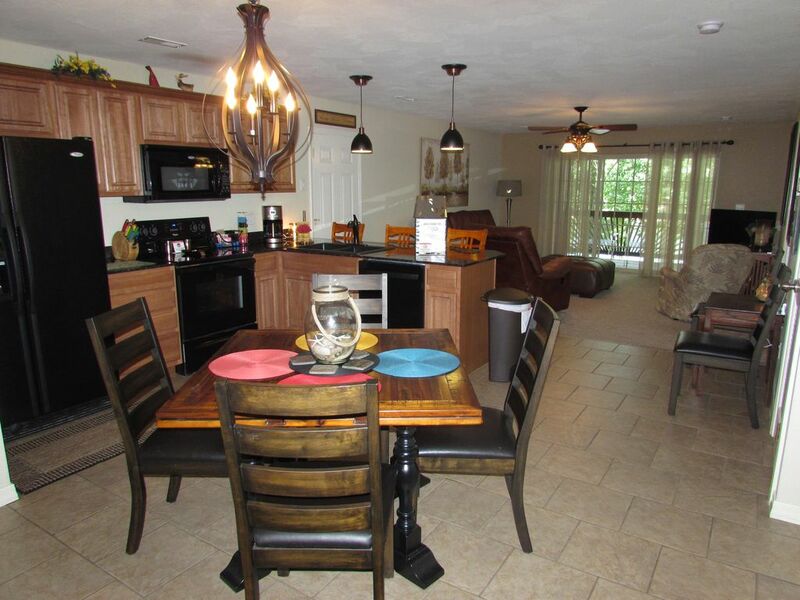 The quiet and roomy 3 BR, 2 Bath condos available with large decks overlooking Table Rock Lake. Outdoor pool, horseshoe pit and playground on site. Nice dock to swim or boat from, so bring your own boat or rent a 2014 Lowe pontoon to enjoy on the lake.